Elephant Thong Tae stands chained up in a field waiting for potential buyers in Surin. 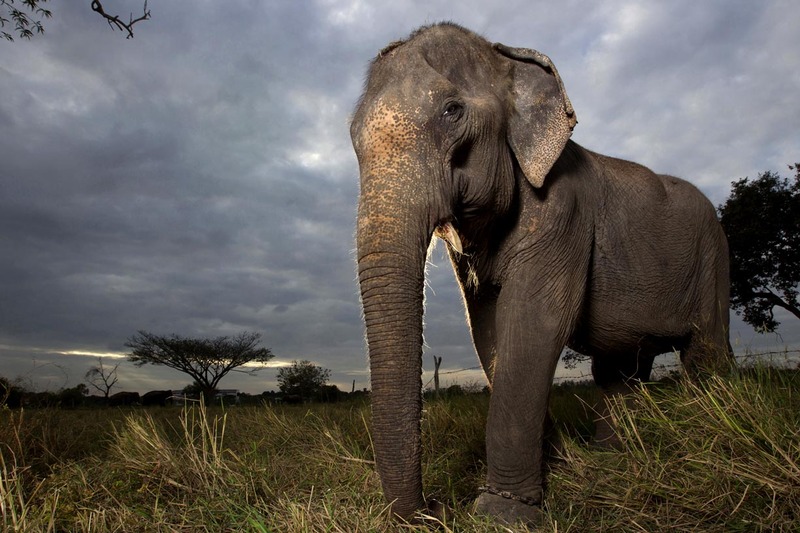 After injuring her leg working in the logging industry in Burma, Thong Tae was smuggled into Thailand by traders to be sold to buyers in Thailand's elephant tourism industry. Officials estimate that 1 Burmese elephant is smuggled into Thailand every week.